2014 marked the start of a new era for Fresh Jam. About 40, or two-thirds of the participants, attended workshops on the afternoon of the showcase run by various staff of the NZ Jazz School, including luminaries such as Rodger Fox, who was made Patron of JIM in 2016. COOL CATS: Eddie Barnett (left), Reade Thompson-Trott, Oliver Mebus-Leckie, Jessica Dewhurst and Joe Boyce from the Rathkeale College senior school jazz band Sforzando on stage at the Martinborough Town Hall yesterday during the inaugural College Jazz Showcase Fresh Jam workshop. A cadre of young jazz musicians from Wairarapa secondary schools were in full song at the College Jazz Showcase Fresh Jam workshop in Martinborough yesterday afternoon. Event co-ordinator Bruce McMichael said 40 students from throughout the region took lessons at the Martinborough Town Hall workshop from some of the country’s best tutors, and took the stage to test their talents and tunes. 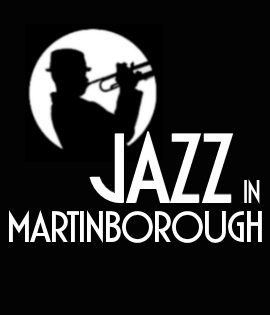 The overall College Jazz Showcase Fresh Jam event was part of the third annual Jazz in Martinborough festival running this weekend and it was the first time a workshop was held ahead of the Fresh Jam performances. Mr McMichael said bands at the workshop included Jazz Combo No1 and Jazz Combo No2 from St Matthew’s Collegiate School, the Chanel College Jazz Band, the Kuranui College Jazz Band, the Macho Warriors jazz quartet Mojo big band, and Prop jazz combo from Wairarapa College, and Sforzando from Rathkeale College. Circle of Fifths jazz combo from Tararua College were to play as part of the evening performance, he said. Acclaimed staff of the New Zealand School of Music Jazz Programme led the workshop and included Kiwi jazz veteran Rodger Fox, who was also to play at the festival proper. Mr McMichael said organisers were grateful to Kuranui College for helping host the event and providing instruments for use. 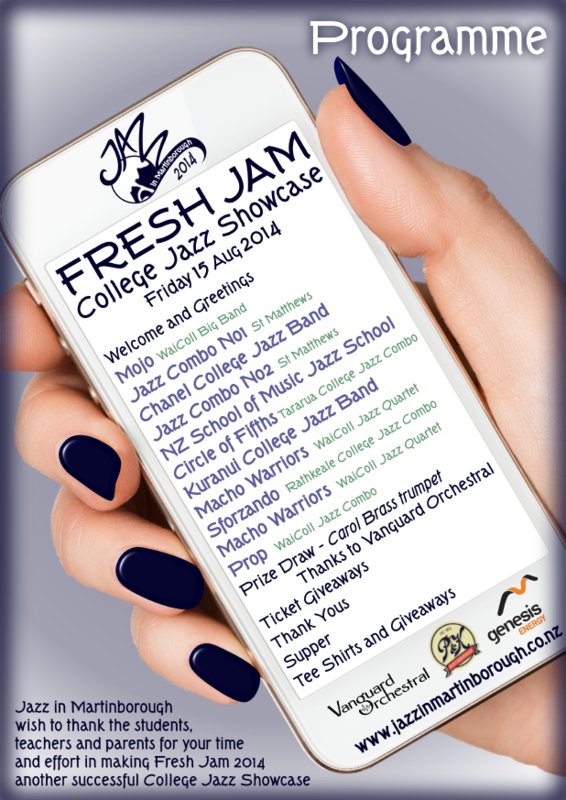 The jazz talents of young Wairarapa musos will be in the spotlight at the College Jazz Showcase Fresh Jam event in Martinborough on Friday. 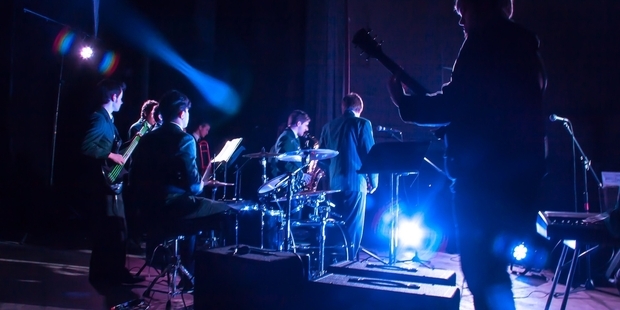 Fresh Jam is the Jazz in Martinborough (JIM) College Jazz Showcase that features Wairarapa secondary school jazz bands and groups, says festival publicist Lee Quayle. “We at JIM are committed to the fostering of jazz talent, young and old, and this definitely fits into the young category,” Mr Quayle said. 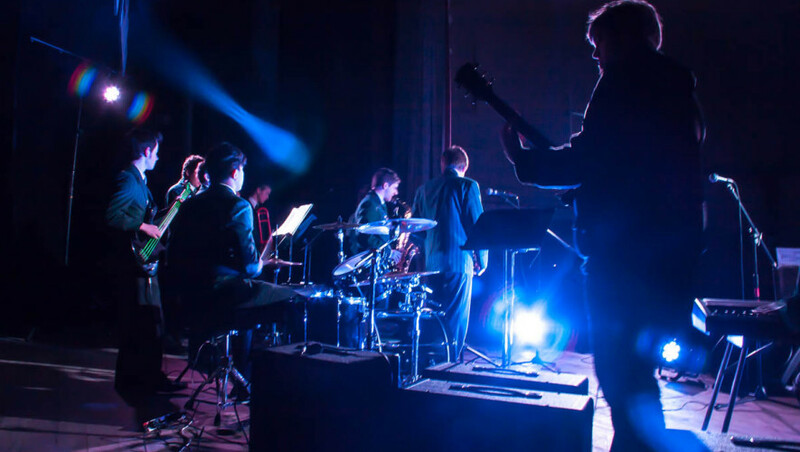 Wairarapa College head of music Ivan Patterson said three groups from the school will this Friday night take the stage at the Fresh Jam show including the 18-piece MOJO (Masterton’s Only Jazz Orchestra), and the pair of jazz combos Prop and The Nacho (aka Macho) Warriors. He said the showcase provided a vital performance venue for secondary school jazz musicians in the region and was a high point on the musical calendar at the school. This year marks the start of a new era for the young musos on the Fresh Jam bill, he said, with workshops running for the participants ahead of the evening show. “About 40, or two-thirds of the participants, will be attending afternoon workshops run by acclaimed staff of the NZ School of Music Jazz Programme, including luminaries such as Rodger Fox, who will also be performing in the festival proper,” Mr Quayle said. NZSM staff who will attend the workshops includes Mark Donlon, a programme leader of jazz at the NZSM, senior lecturer in jazz piano and respected pianist, composer, conductor and educator; Lance Philip, lecturer jazz drums, who has performed with the Rodger Fox Big Band, Midge Marsden and Dancing with the Stars Band; and American jazz bassist Professor Tom Warrington, who has performed with the Buddy Rich Big Band, Bill Cunliffe and Stan Getz. 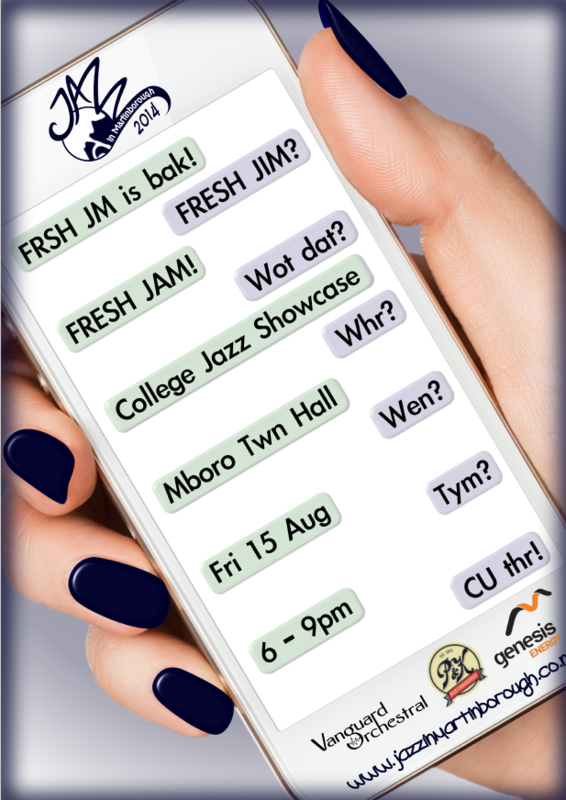 Fresh Jam is free and will run at the Martinborough Town Hall from 6pm on Friday.